I am proud to announce after going through our list of recommendations for the community we made a priority list on what is to be completed first. In the coming months there will be a fully functional Team balance system, 1-2 Custom Maps coming to server #2 to replace Hue City and an Official Trip Wire Update sure to change the game. After Constant recommendations of removing Hue City or Forrest, I came to the conclusion to remove Hue from the rotation list and to replace it with one custom map that will be voted on by the community. The switch will not change until we find a stable map. If you have any suggestions for maps to replace Hue City contact Warhouse on Discord with the link to the suggested map. Tired of the quick, stacked, boring matches where your team, either gets stomped on or is the team that provides the stomping. We have great news, in the coming months, we will be refining and initiating a Team Balance system to almost provide matches that balance so even where you will be counting down to the last man on both sides. There has been many issues addressed and we are currently working on ironing out those problems; I.e friends/ groups who want to play together. The initial release will need time, due to refining process but when released will need the communities feed back along with any changes that will need to be done to provide the chaos of battle. Please feel free to contact myself with any suggestions or complaints via =rTr= Discord. We want to provide the best battlefield possible! 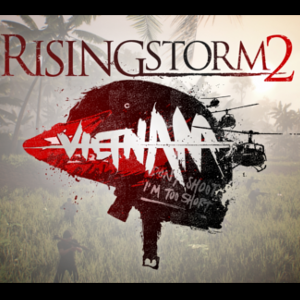 Rising Storm 2: Vietnam update VIDEOS INSIDE!!! RS2: Vietnam CTB Community Test Branch Update!